As we celebrate the birth of our great nation and enjoy the sweet freedom that was acquired from it's formation, may we be thankful for all that we have each and every day. 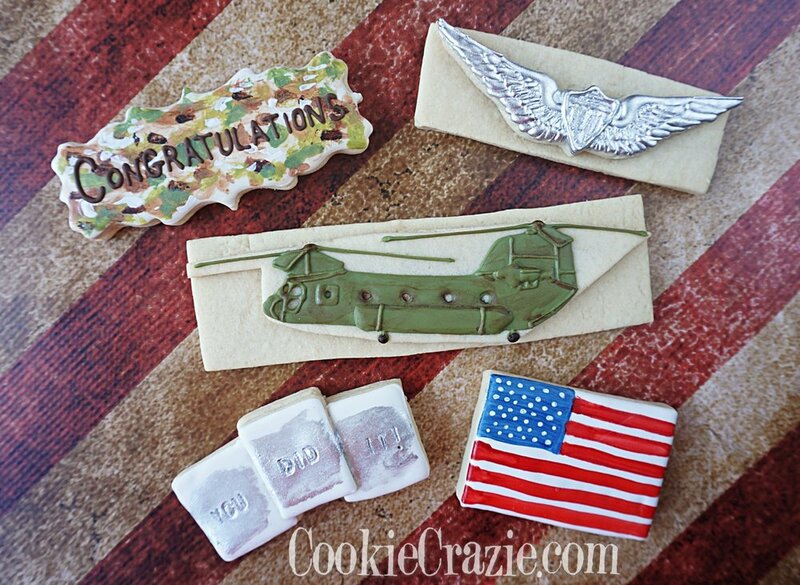 As I looked through my patriotic cookie cutters, I couldn't help but keep seeing all the sweet treat cutters that would be so fun to decorate in red, white and blue patterns. Thus, the Sweet Freedom collection was created. Many of these cutters are some of my favorites, so I thought I share where I got them in case you'd love to acquire them too. I love to make a grouping of cookies that display lots of color and pattern. Firework rockets were a perfect choice for that. Using this pencil cutter requires no extra cutting at all. Outline and flood the body of the rockets with fun red, white and blue patterns using wet-on-wet technique. Add the rocket tops and any additional details to the rocket body. Pipe a stick or a fuse to the bottom of the rocket. Add the sparks to each rocket fuse in white glaze. Mix silver dust with vodka or clear extract (ex. almond extract) to paint over the fuse sparks.